• It is a quad-band module(850/ 900/ 1800/ 1900MHz). 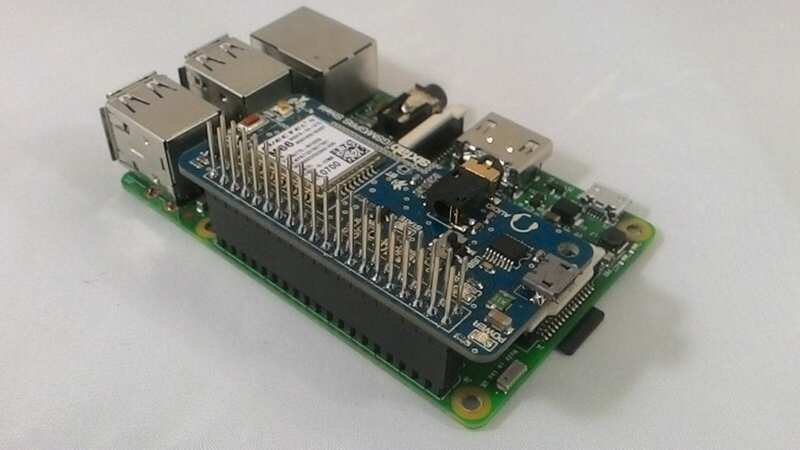 • Works on 3.3V ~ 4.6V(which is provided by the Raspberry Pi) No external power supply required. • Operates at -35°C ~ +80°C. Now we will use this shield to create PPP (Point to Point Protocol) internet connection. Elaborated steps are stated below. So the shield comes a 2×20 pin female header. 1. The header is later soldered with the shield. 2. Once soldered SIM is inserted. 3. Since the shield can be used either with UART or USB. It is needed to be selected with the switch available on the the shield. We select Pi here. 4. Now it is connected to Raspberry Pi 3 Model B. 5. Connect Raspberry Pi to internet via WiFi or Ethernet. 6. 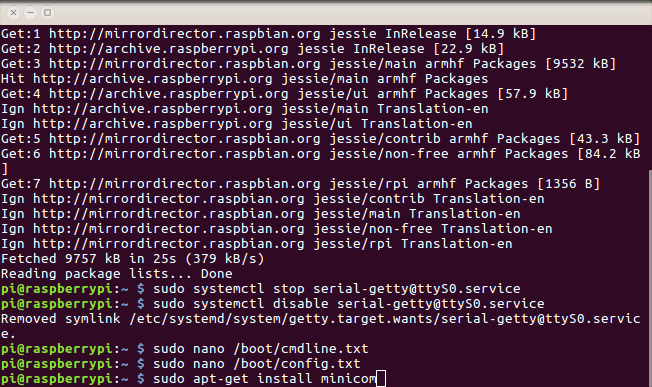 Once Raspberry Pi is connected, run following command in order to update Raspberry Pi. 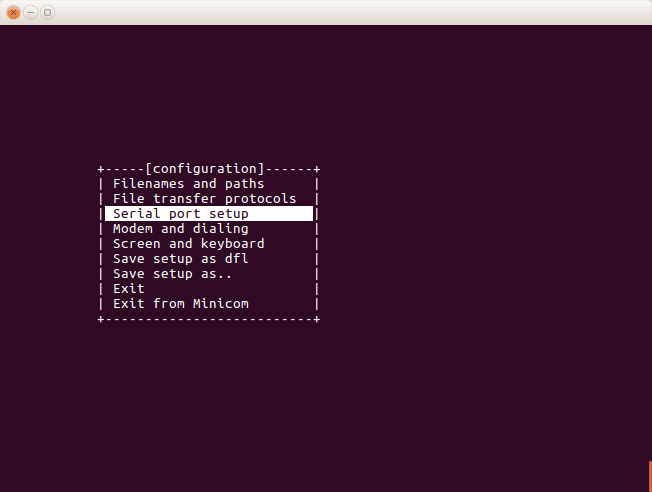 As in previous versions Raspberry Pi terminal is connected to /dev/AMA0, following commands should be used instead. and removing ”console=serial0, 115200” or ”console=ttyAMA0, 115200” for Raspberry Pi other than version 3. Exit editor saving the changes. 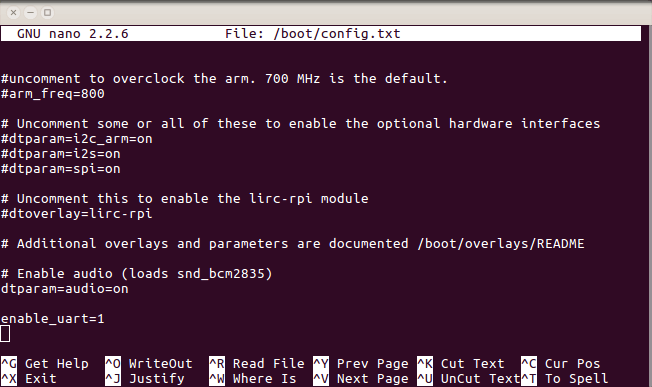 Now Raspberry Pi is rebooted. 10. 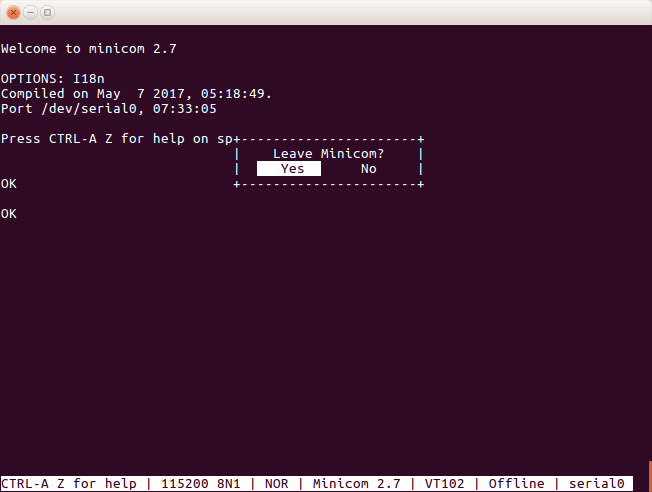 In this step minicom will be installed, which is a serial communication program. 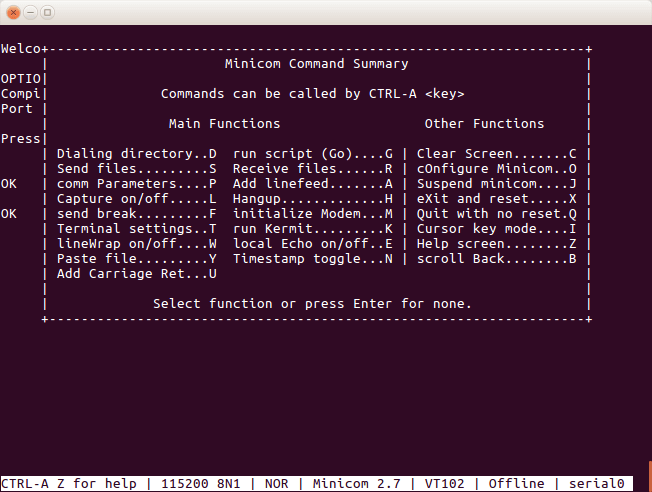 command will install the minicom to the Raspberry Pi. 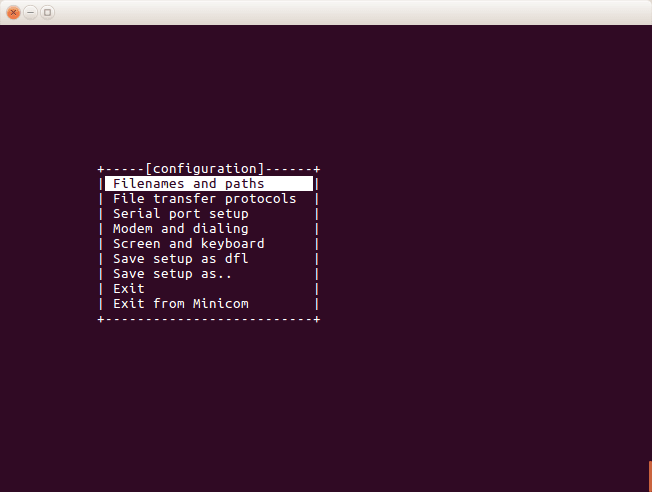 This will open minicom screen. 15. In order to check either it working or not type ‘AT’ and enter. If it responds with ‘OK’ then its working properly. 16. Now before moving to next step POWER UP the shield with the press button available on the shield. Then blue led of State will blink which indicates successfully powered up of the shield. 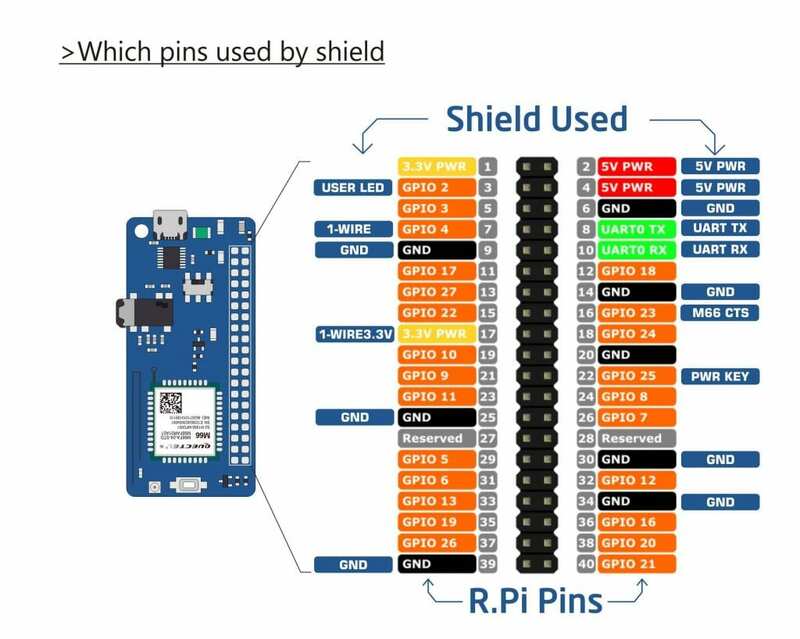 The shield can also be Powered Up by making GPIO 25 HIGH for 2 seconds and then LOW, as GPIO 25 is connected to POWER KEY of the shield. Pin assignment of the shield is provided below. In the last command HOLOGRAM is the APN of the network operator. ‘ttyAMA0’ will be used instead of tty0 in case of other versions of Raspberry Pi. 18. Now the shield is ready to connect to internet. Disconnect Raspberry Pi from WiFi or Ethernet. Here & sign is used to run the command in background. Is there any way to have the shield automatically power on without having to press the power button? I’ve an idea to use this in a remote unit to establish a PDP Context automatically, but that won’t work if the power has to be manually enabled every time the Pi has to restart. 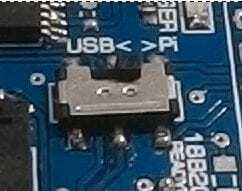 Hi, GPIO25 is connected to the PWR KEY pin. if the GPIO25 made HIGH for 2 seconds then made LOW, the module will Power Up. Thanks – I’ll try that. Any chance you might be able to update the GPS one in the future please? Did you ever try your module with any 40-pin sensor HAT or SPI LCD? Have you seen any problem e.g. suddenly power down? We haven’t tried yet. It may be about power, you can add external power for you HAT or LCD. Metin, Thanks for the reply. I read the answer you reply to Lloyd and I got my answer at the same time. My problem is that my PIR sensor is installed on GPIO25 🙂 bad luck! 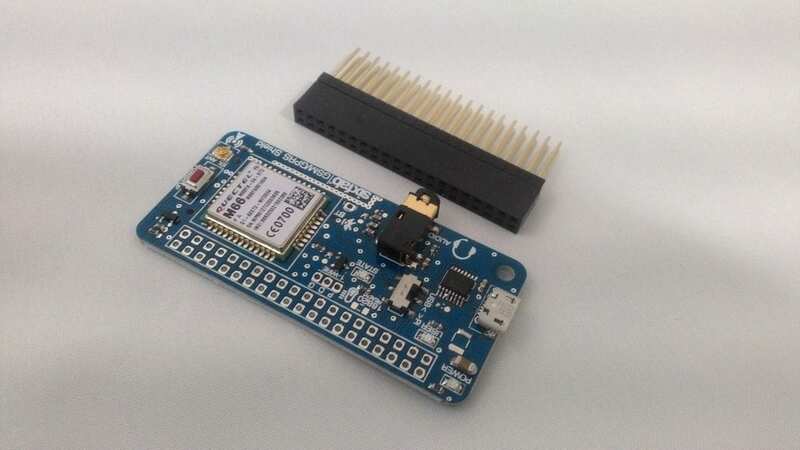 So I cannot use it with Turta HAT absolutely… Can you share the detailed pin assignment of the GSM/GPRS shield? Hello , i am new for this environment. In my ongoing project i want to have following feature with my Rpi3 . 1. IoT feature – I hope to get IoT server as Google IoT server. 2.I want to host my internet connection via WiFi. 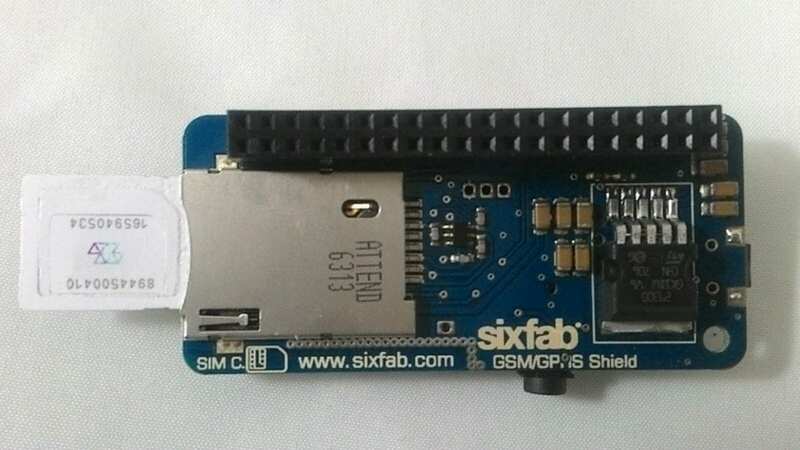 I think Sixfab GSM/GPRS Shield is more enough for my requirement used than 3g shield because power and the price.But could i confirm from expertise that before buying the module. Please note that i have to used sim integrated module because there is no any wifi AP modem. 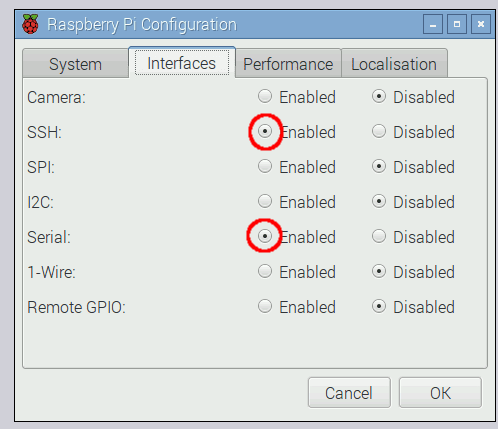 Only is necessary disable serial in the Raspberry pi configuration or run in the terminal raspi-config command, if rasperry pi is version 1 B, B+ or Zero use ttyAMA0. For higher versions use ttyS0. Is it possible to use the GPRS module with GPS and with the Rasp Zero? I want to send GPS data to an external server. Yes, You can use it like Rpi3. What’s the 1-wire (gpio 4) for? I noticed in the raspian config screenshots here, they don’t show 1-wire enabled. My guess is that it’s an optional feature, can you tell us more? Thanks! Followed instructions. 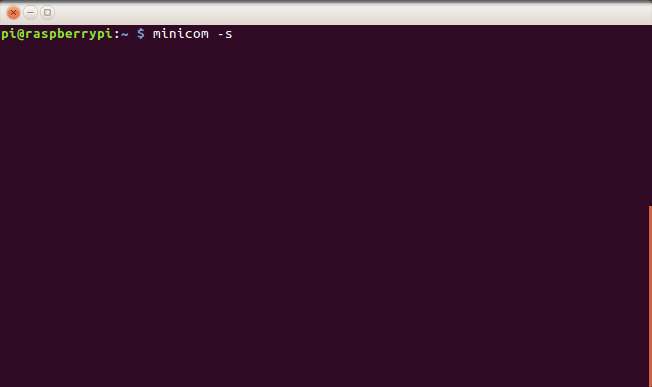 As I run minicom and try to test by typing AT, nothing appears. Do you select switch into Uart? Do you Power-Up your module with POWER UP button ? Tried to power up the module with setting the GPIO pin 25 to high, but the module does not power up. Measured the voltage in GPIO 25 and it was 3.3 volts. Version V1.5, I received a couple of weeks ago. GPIO26 is correct pin for V1.5. And works fine to start modem. How can I check if modem is started before try to start with GPIO26? You can check with VDD_EXT ( PIN19). 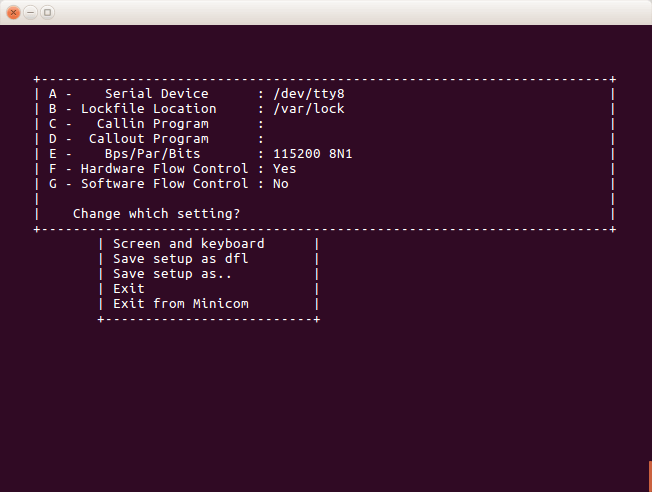 When module powered up, VDD_EXT pin goes HIGH. Thank you very much Metin. It works. Status update: GPIO 26 did it. It did start up. Is there a way to check if shield is on with python? My plan is to use without display/keyboard or other peripherals. Tested the raspi with sim800c raspberry module, and the connection succeeded immediatelly. Is there any trouble shooting instructions? 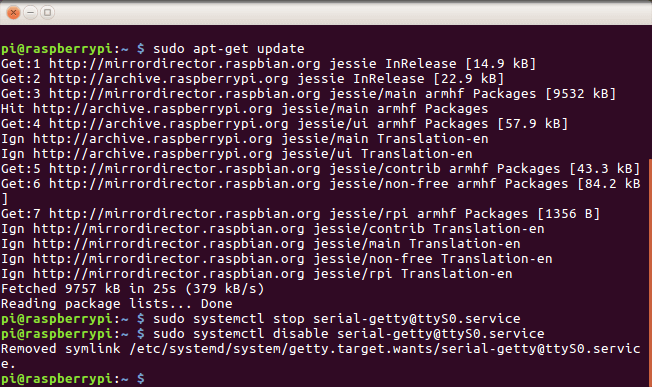 I am using GPIO 3 shutdown and start raspi. I have a led button that I want to indicate when device is sending data. What GPIO pin is free for driving the LED? Is there a pin that is not connected to shield so I could safely use it as light up the LED? Can you send all log? This is some part. I followed all the steps in this tutorial and it seems like I am connected to the Hologram network. This is confirmed when I log into my Hologram Dashboard and it shows that my sim card is active on the T-Mobile network and my device is being logged. The problem is that I can not send any data to or from my device when I am connected via the gprs modem. I have tried to open a web browser and surf to google.com, but no dice. I have also tried sending TCP sockets, and HTTP using the Rest API for Hologram and nothing seems to work. I also tried to ping google.com and nothing. Can anyone please give me some advice? I am wondering if it is a low signal issue, maybe I need an antenna? It looks like there is no CLI to support this product so I am wondering if there is a way to check the signal strength. I contacted Hologram and they said that the Hologram CLI can work with other modems but the code which is available on github needs to be modified to work with the Quectel modem on the shield. YES! Thank you, thank you, thank you. Finally, I am moving on with my project. If all goes as planned I will be contacting you to get more gprs shields soon. Thank you. I tried and practiced this practice. 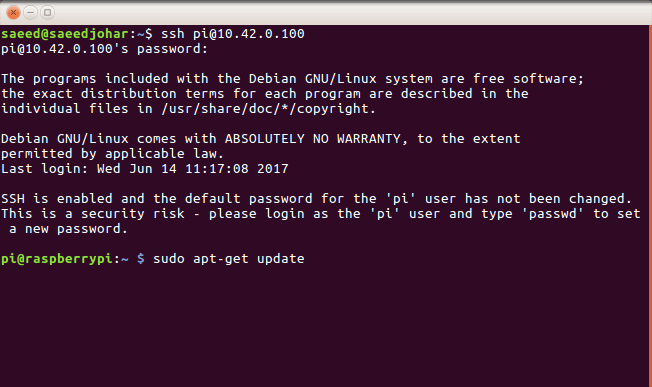 I got an IP but I could not connect to the ssh server from the outside with the ip I got. Could you help me with the subject. Because this IP is virtual, you have to get static IP from your operator. Is there any way to have the shield automatically power on without having to press the power button when the shield is connected to Raspberry via USB? echo "Connection up, reconnect not required..."
It stops internet and pings after some time. Anyone facing this problem. It works! Was able to get online.However, I can’t figure out how to disconnect or hangup the connection once established! ifdown ppp0 does nothing. If I am connected to the network with pppd, how can I get the signal strength for the board from userspace without killing the connection? My M66 does not power off after issuing AT+QPOWD=1. It prints “NORMAL POWER DOWN” on the serial line, and indeed powers off, but after 5 seconds it powers on again, and connects to the GSM network. Do you have an idea why this happens? Please check PWRKEY pin, You have to set it to LOW. Hello, can you please advise me the best way to get the modem location while connected to PPP? 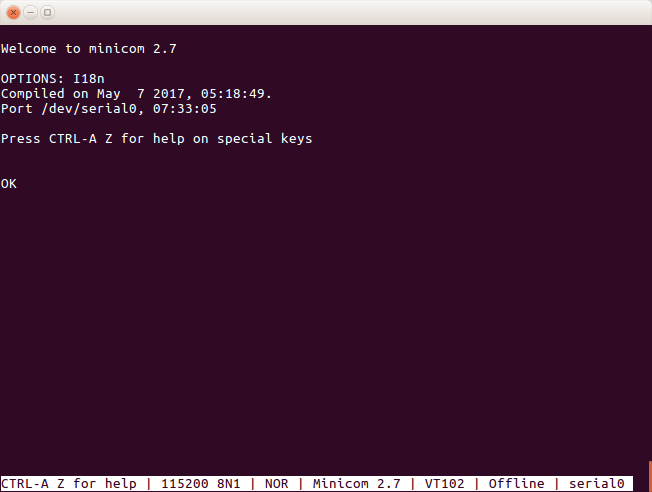 I tried to connect to minicom to issue the quecklocator command but it says “minicom is locked”. I also tried to use the Hologram SDK but it says “modem not detected”. I really need to be able to get the location of the device for it to work with my use case. Please help. Thank you. 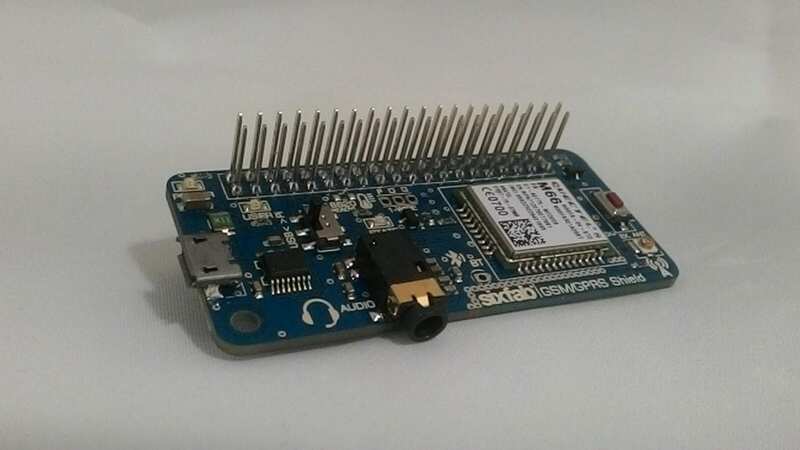 I am asking this to experienced users or admins, can i use this module to connect internet by not using UART but using USB serial communication (micro usb power socket). 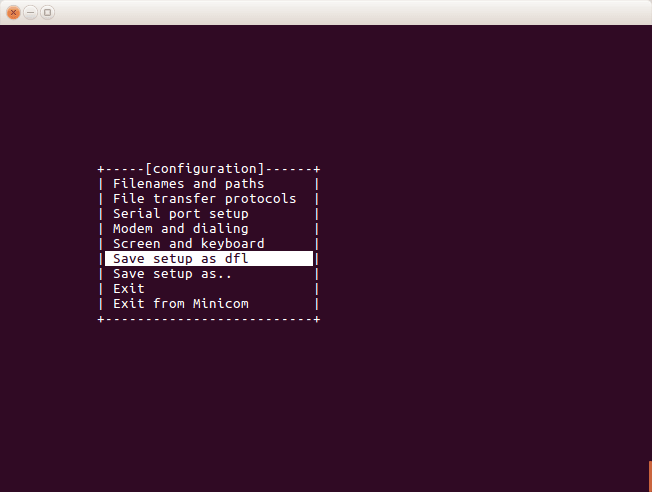 I can use usb socket to send and receive data by minicom or cutecom but is there no way to use for internet ppp? Yes you may use USB instead of UART. For this you will need to switch towards USB. Then Start from step 17 of the tutorial. Use ttyUSB0 instead of ttyS0. Thank you for the reply Saeed! I will try to connect internet using micro-usb port and let you know the results. But for shield Cat-m and nb-iot with quectel BG-96? I would need to control robot remotely through Massive IoT network. 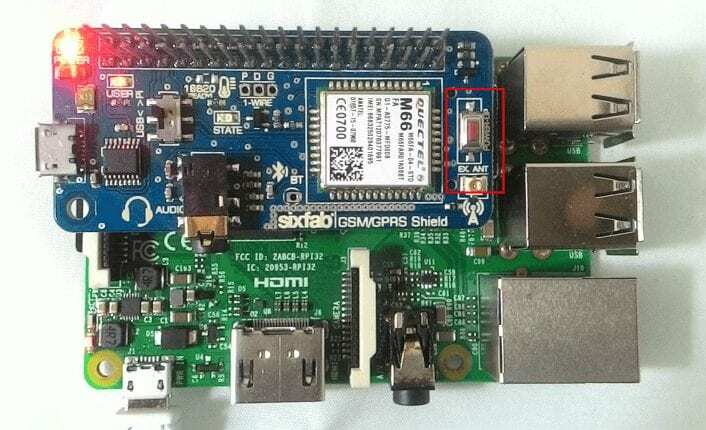 If you are looking for ppp connection with Raspberry Pi Cellular IoT Application Shield then we will be publishing it soon. I managed to setup a ppp connection. Is it possible to remotely connect to this ppp connection? Yes, it is possible by connecting remotely to Raspberry Pi. Is it possible to use a VPN connection with this shield (M66) and pppd? Hello, Yes it is possible to connect. But the speed is very low around 38kbps. Are there any examples or howto’s of having a gprs data connection active and detecting mobile phone calls (RING) *at the same time*? A feat every single phone can manage, but I can’t seem to replicate. PPP connection and MAnaging call at the same time is not possible with 2G.